These sleek footstools can be used to match your coffee table, act as an alternative to sofas or just place it on the end of your bed. Whether you need a place to sit or somewhere to put your feet up, our ottoman is a true multi-tasker. 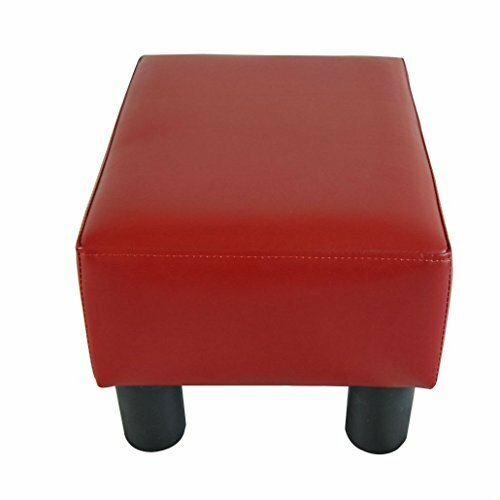 Covered in quality PU leather and featuring a stylish square design, this ottoman will be a great compliment for almost any home décor. With its numerous uses this exquisite footrest can be set up in the living room, guest room, bedroom, gaming room, or family room. ✿Simple assembly required ✿90-day warranty.